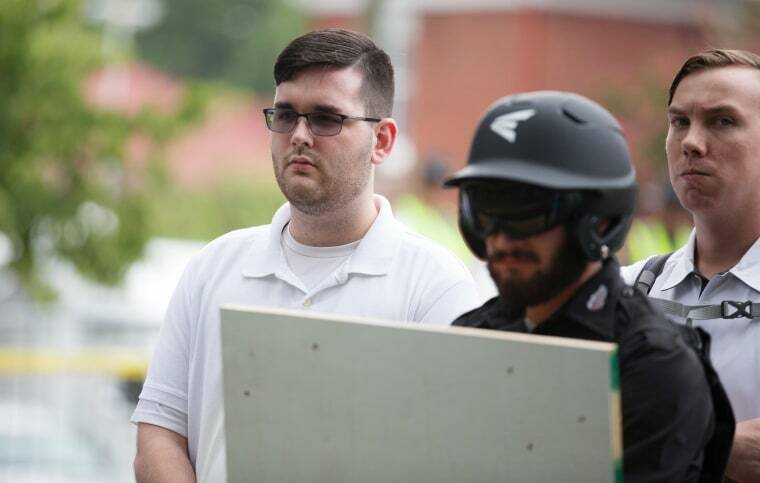 James Alex Fields was at the Unite the Right rally when he killed anti-racism activist Heather Heyer, 32. The single charge in Count 30 was brought under a provision of the Civil Rights Act of 1968. It had accused Fields of racially motivated violent interference with a federally protected activity — counterprotesters using the public streets and sidewalks of Charlottesville — and carried a possible death penalty. Fields was convicted in state court in December for the death of anti-racism activist Heather Heyer, 32, and for injuring dozens more during the infamous Unite the Right rally on Aug. 12, 2017. Heyer's mother, Susan Bro, told reporters after the hearing that she didn't oppose the deal that spared her daughter's killer. U.S. Attorney for the Western District of Virginia Thomas Cullen said his prosecutors kept victims and their families regularly updated on plea-bargain talks — and that he needed ultimate approval from Attorney General William Barr to finalize his deal with Fields. “Attorney General Barr sent me a letter on Friday authorizing and directing me not to seek the death penalty pursuant to the plea agreement," Cullen told reporters. "Given all the facts and circumstances, life imprisonment, or the potential of life imprisonment, was an acceptable result. We also believe it vindicates the victims on Fourth and Water Street." Barr said of Fields' actions that "hate crimes are also acts of domestic terrorism." The nation's top prosecutor cited the recent mosque massacre in New Zealand that left 50 dead in saying the nation must have zero tolerance for racial and religious bias. “In the aftermath of the mass murder in New Zealand earlier this month, we are reminded that a diverse and pluralistic community such as ours can have zero tolerance for violence on the basis of race, religion, or association with people of other races and religions,” according to Barr. Before Wednesday in this separate federal prosecution, Fields had pleaded not guilty to 30 hate crime charges — including the one that carried a possible death sentence. Cullen said he hopes this courtroom deal will spare survivors of reliving that day. "We talked to them (survivors of the deadly attack) at every step along the way," Cullen told reporters. "Any time that you can save victims from having to go through a trial a second time … you recognize the benefit of a life sentence." Hundreds of white nationalists converged on Charlottesville just before the start of the fall term to protest to the city's planned removal of a statue of Confederate Gen. Robert E. Lee. About 30 more people were hurt in Fields' car attack. President Donald Trump blamed the violence at the rally on "both sides" and critics of his viewed that as a refusal to condemn racism.